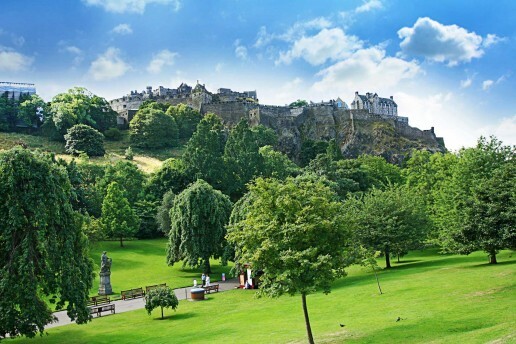 Princes Street Gardens form a beautiful tranquil green space in the city centre covering over 36 acres. A great place to escape the hustle and bustle of the city and just take time to chill for a while. Set against the monumental backdrop of Edinburgh Castle it has to be one of the most photographed views in Edinburgh. The park often hosts events and displays. 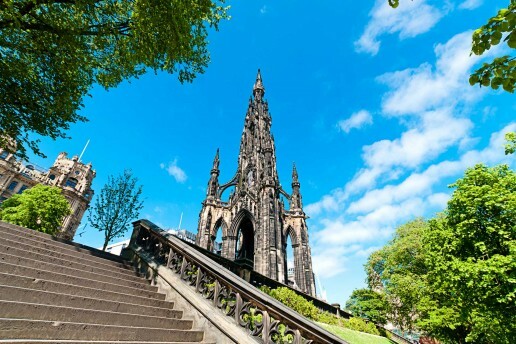 There are many statues and monuments to study, but one you can’t miss is the Scott Monument, it has a prominent Gothic tower in honour of Sir Walter Scott the world famous Scots novelist.